Complete nutrition and protection for large puppies with a robust physique. 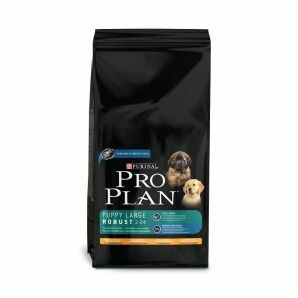 PRO PLAN Puppy Large Robust is specially formulated for larger puppies with a robust physique. Using high quality chicken and rice as the main ingredients, it provides your puppy with complete nutrition and protection. A special combination of L-carnitine with optimal protein and fat levels helps control the deposit of fat during growth of robust puppies.